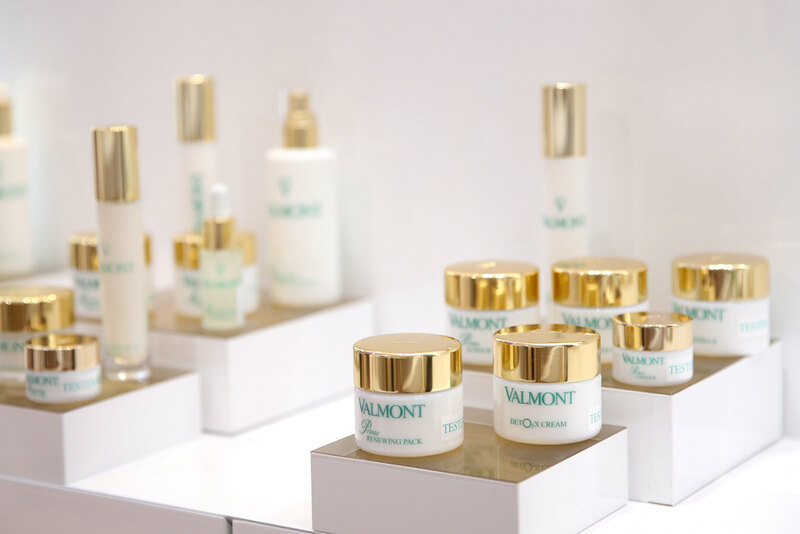 Those who love Valmont’s luxury take on anti-ageing skin care can visit their latest La Maison Valmont boutique in München, which opened in January. The Swiss brand blends tradition with cutting-edge research, and it has gained a following among celebrities such as Lara Joy Körner, Alexandra Polzin, Lola Paltinger, and Annika Blendl. The new location, on the fashionable Maximilianstraße, is one of seven exclusive ones around the world, joining Vancouver, Hong Kong, Tokyo, Lausanne, Paris and Berlin. Celebrity guests at the München opening included designer Ophelia Blaimer with her partner Tino Bauer, style expert Annette Weber, Charlotte, Gräfin von Oeynhausen and her partner Alexander Freiherr von Cramm, Uschi, Princess zu Hohenlohe-Oehringen, and curator Florentine Rosemeyer. The new store has 300 m² of space over three floors, retailing all the Valmont lines: the classic anti-ageing range, the luxury L’Elixir des Glaciers, the Storie Veneziane fragrances, and the finest Il Profvmo perfumes. Customers can get pampered in cabins on the first floor, experiencing Valmont’s anti-ageing techniques first-hand. The basement features art exhibitions, along with founder and CEO Didier Guillon’s favourites. Proceeds from the sale of two of the works will benefit Save the Children. Guests could also see the travelling exhibition, The Elegant Symmetry of the Gorilla, which remains in München till February 17. Körner was enthusiastic at the opening: ‘This is my first event this year and here I am in good hands, because I love everything that has to do with beauty. Massages, but especially body treatments as they are offered here. And in the middle of the city in a beautiful location. That’s really special,’ she said.